Bob Johnson's Rants and Raves: Where has common sense gone? 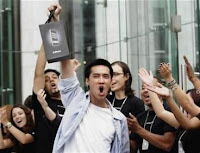 As a follow up to my blog post on October 11, 2011, "Must be over 1 million Dumbass' and counting", I was counting the pre-order sales for the iPhone 4s. Pointing out how stupid people are and to steal a word from a friend of mine, sheeple which can be defined as people that act like sheep. Well folks the sheeple have once again amazed even me when I read this article regarding a iPhone 4s announcement from Apple Inc. This article was posted on MarketWatch.com. Here is an excerpt from that article. 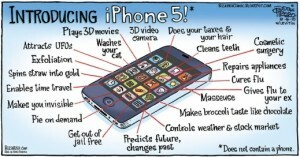 "Apple Inc. said Monday that it's sold over four million of its iPhone 4S, three days after its launch on Oct. 14. 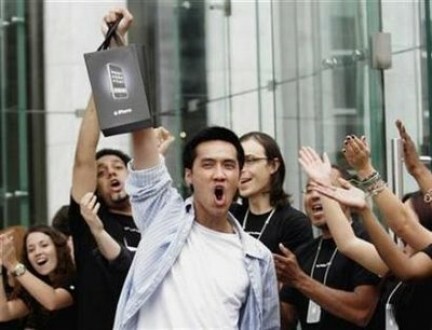 The figure was more than double that of iPhone 4 during its first three days of launch, Apple said. The company added more than 25 million customers are using iOS 5, its mobile operating system, in the first five days of its release while more than 20 million customers have signed up for its cloud service that automatically and wirelessly stores it's content in iCloud and pushes it to the consumer devices." Well, now we have a total of 4 million Dumbass'. "Lenders are poised to take back more homes this year than any other since the U.S. housing meltdown began in 2006. About 5 million borrowers are at least two months behind on their mortgages and more will miss payments as they struggle with job losses and loans worth more than their home's value, industry analysts forecast. "2011 is going to be the peak," said Rick Sharga, a senior vice president at foreclosure tracker RealtyTrac Inc. The firm predicts 1.2 million homes will be repossessed this year by lenders." If you can not pay for these basics. YOU DO NOT NEED A CELL PHONE! Your priorities are backwards. Perhaps this is the base problem with our economy as a whole. Have we as Americans become so inane that we have no control of our base financial health. Could it be a result of our education system? I leave the answer up to you.